“Buy One, Get One Free” usually applies to things like cans of soup, or maybe, at best, amusement park tickets. So when a major gun manufacturer offers a “Buy one, get one free” offer on firearms, we sit up and take notice. Here’s the deal: if you buy any one of six select Sig Sauer centerfire handguns, Sig will give you a free 1911-22 .22LR rimfire pistol. That’s right — buy the centerfire handgun, and get the rimfire pistol tossed in for free. The Sig models that qualify are: 1911 Ultra TT, 1911 Compact C3, 1911 Carry Nightmare, 1911 Tacops, 1911 Spartan, and 1911 Stainless. 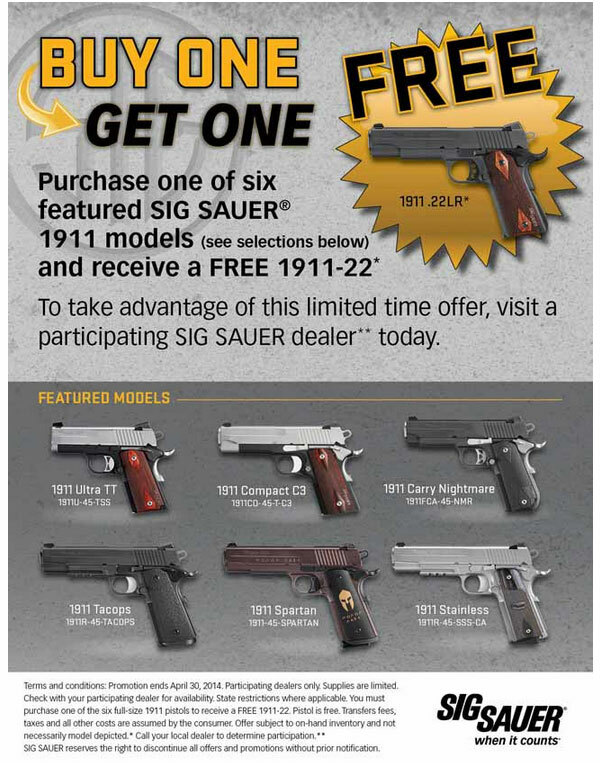 To take advantage of this offer, contact a participating Sig Sauer dealer. 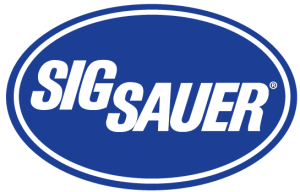 For more information on the qualifying products, visit SigSauer.com. This deal is good through April 30, 2014 but the offer is limited to participating dealers. Also, “FREE” is not completely free for the 1911-22. Transfer fees, taxes, and all other transaction costs are the customer’s responsibility. SIG also states that: “Offer subject to on-hand inventory and not necessarily model depicted.” So, if this “two guns for the price of one” offer strikes your fancy, you should act quickly to ensure you get the model you want. Share the post "Get Two Pistols for the Price of One with Sig Sauer Offer"
The NSSF’s Where To Shoot mobile App has topped 100,000 downloads. The app, which rose to No. 4 on the Apple App Store’s list of free sports Apps, has been a hit with target shooters and gun owners. It is available FREE for both iOS (Apple) and Android devices. The Where To Shoot App quickly and easily locates shooting ranges near you, drawing on North America’s most comprehensive directory of shooting ranges. Users can search by current location, state, or zip code and find specifics about each range, including shooting activities offered and contact information. Once you’ve location a place to shoot, the App helps you get directions to the range. The App also includes video tips for shooters, news, and firearm-safety information. 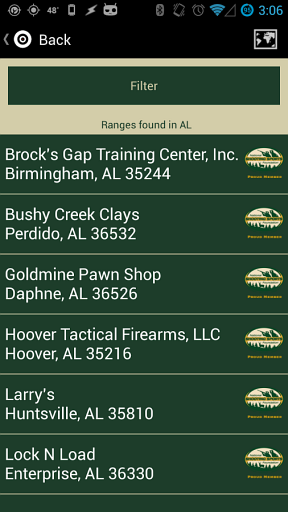 The app is modeled after NSSF’s popular WhereToShoot.org® website and is updated frequently with range information in every U.S. state and Canadian province. New tips for hunters and shooters are also added regularly. 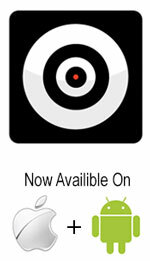 Download the app via the links above or by visiting wheretoshoot.org on your mobile device. 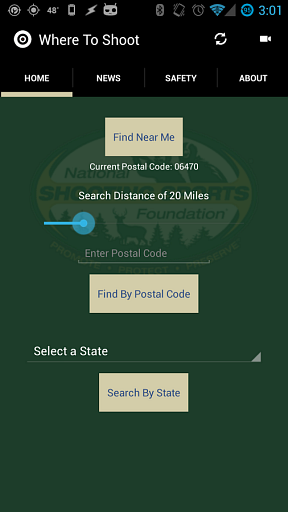 Share the post "NSSF’s Where To Shoot App Tops 100,000 Downloads"